The Indiana Health Information Exchange needed to gather more complete and accurate data to reduce unnecessary tests, replace retrospective chart reviews and better manage contract alignment for its customers. 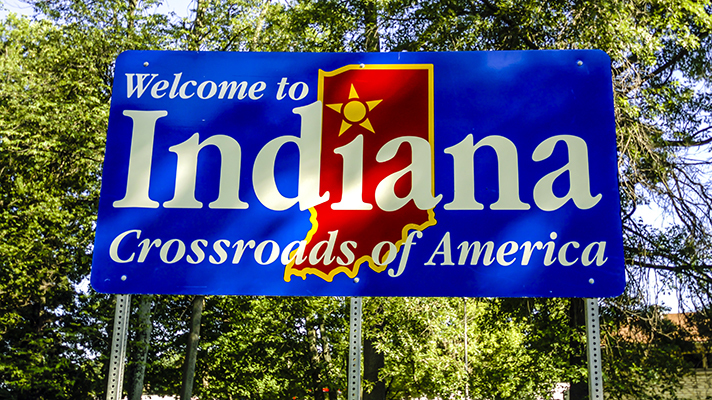 The Indiana Health Information Exchange, which boasts the largest inter-organizational clinical data repository in the country, needed to automate processes and standardize data interchange between payers, providers and other constituents. Further, it needed to gather more complete and accurate data to reduce unnecessary tests, replace retrospective chart reviews and better manage contract alignment for its customers. "We had C-CDA documents being leveraged for highly targeted applications, and we wanted to enable broader consumption and utilization across our product suites," said Adam C. Fair, director of business intelligence at the Indiana Health Information Exchange. "A primary problem we face as a health information exchange is that the structure of clinical data we receive varies based on the electronic health record it comes from and the individual practice patterns of the clinicians inputting the data." The HIE opted to use implement technology from data management vendor Diameter Health that "takes this disparate clinical data and standardizes, normalizes, deduplicates and enriches it so that it's fit for clinical and payer purposes using techniques like targeted natural language processing," Fair explained. The market for data cleansing, dedupe and enrichment technology is wide and varied. Different companies offer different approaches. Technology vendors offering some or all of these services include Acxiom, Alteryx, Anchor Computer, Data Ladder, Experian, IBM Watson Studio, Quantum, Softweb Solutions and Trillium Software. As an example of such clinical data is managed, consider that a clinician might document a prescription for a medication like this: acetaminophen 325 MG/oxycodone 5 MG 2 pills QID PO PRN. While other clinicians can interpret unstructured information and Latin acronyms such those, computers can't – not without better structure. "HIEs, like us, who use this technology, can provide standard supplemental clinical data to our payer members, substantially reducing the number of charts that they would otherwise need to manually examine." So first, the technology structures and codifies the information: acetaminophen and oxycodone is codified as RxNorm 214183. Using structured NLP, the medication instructions are normalized: "take 2 doses by mouth (PO) four times daily (QID) as needed (PRN)." Additional metadata also is added to the medication: "acetaminophen and oxycodone (also known as Percocet) is a Schedule II controlled substance, and the medication is categorized as an Opioid Agonist." "Using standard codified data, a researcher could easily count how many prescriptions were written for Opioid Agonists without hunting and pecking for Percocet and all other formulations or brand names," Fair said. The Diameter Health tool works in the background as Indiana HIE receives new data from members. More standardization and codification requires less rework, and more "signal" and less "noise" for clinicians and analysts. "Reducing 'chart chases' is a straightforward use-case," Fair said. "Payers are evaluated and compensated in part by their Healthcare Effectiveness Data and Information Set score. The HEDIS program is managed by the National Committee for Quality Assurance. Payers often need clinical data in order to supplement their HEDIS dataset, which is primarily based on claims data." Traditionally, to use clinical data, payers needed data retrieved from patient charts. That's a labor-intensive process that may cost $20-40 per chart, or more. "Diameter Health is certified by the NCQA to report on e-clinical quality measures," Fair explained. "Data from certified vendors may be used as 'standard supplemental data' for HEDIS reporting. Therefore, HIEs, like us, who use this technology, can provide standard supplemental clinical data to our payer members, substantially reducing the number of charts that they would otherwise need to manually examine. At $20 to $40 per chart, the return on investment adds up fast." Looking at one major national insurer and the Indiana HIE, the use of Diameter Health technology increased the yield of clinical results, such as medications and vaccines, from covering only 10 percent of members to covering more than 90 percent. "Clinical results can be coded in many different ways and/or may be completely unstructured and hidden in text, including Latin acronyms like the ones previously described," Fair said. "Trying to extract all the possible variants using traditional means is a laborious, expensive and ultimately flawed process. A better approach is to use technology to standardize and normalize the data so that it has consistent meaning across data sources." Ultimately, the goal of healthcare today is to improve patient care and quality and reduce costs. Higher quality data by itself isn't sufficient to reach that goal, he said. However, neither are advanced analytics nor precision medicine sufficient without high-quality data, he added. Together, high-quality clinical data feeding advanced analytics will benefit caregivers and the patients they serve, he said. "There's a plethora of technology platforms available that are capable of normalizing and standardizing data based on the end user configuration, using somewhat traditional ETL methods," Fair said. "Many of these platforms would have required us to configure each and every mapping, 'k/MM3 to 10*3/uL,' 'Thousands/uL to 10*3/uL,' and so on." For Indiana HIE, that level of end user configuration is not sustainable for the HIE's long-term goals, Fair explained. "It was vital to find a platform and company that encapsulated the necessary technology and development work for the solution to be relatively plug-and-play," he said.